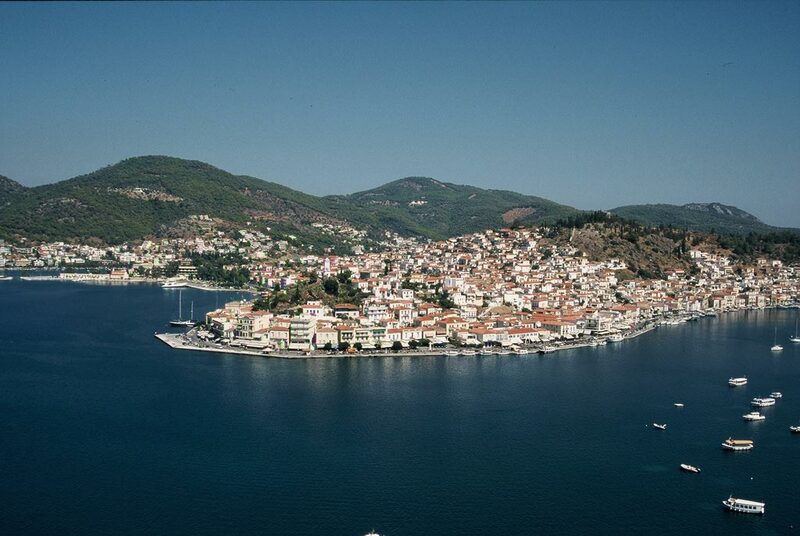 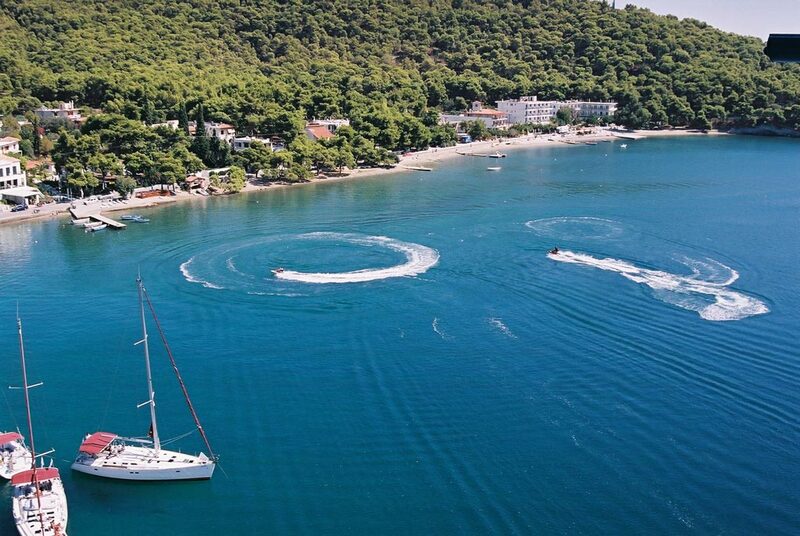 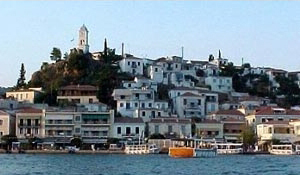 Directly opposite Galata in the Peloponnese, lies the island of Poros. 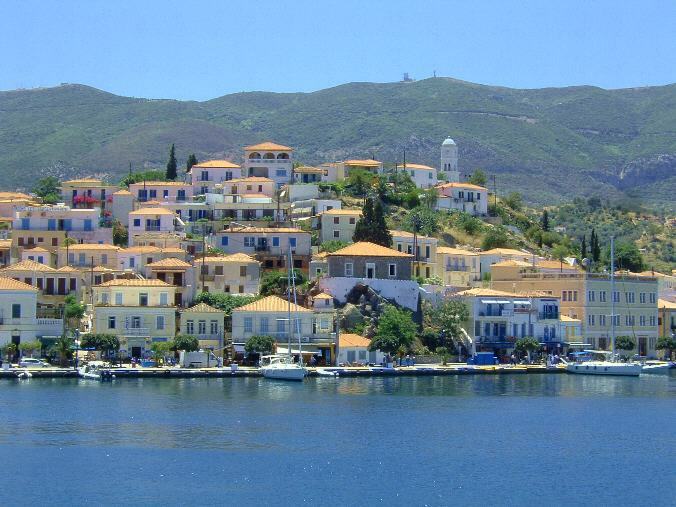 Visitors to this island arrive at its bustling harbor full of cafes, bars and restaurants. 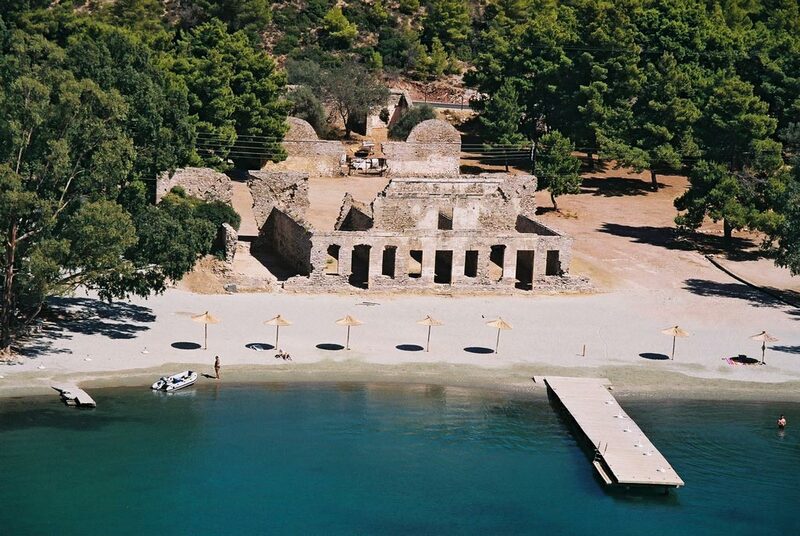 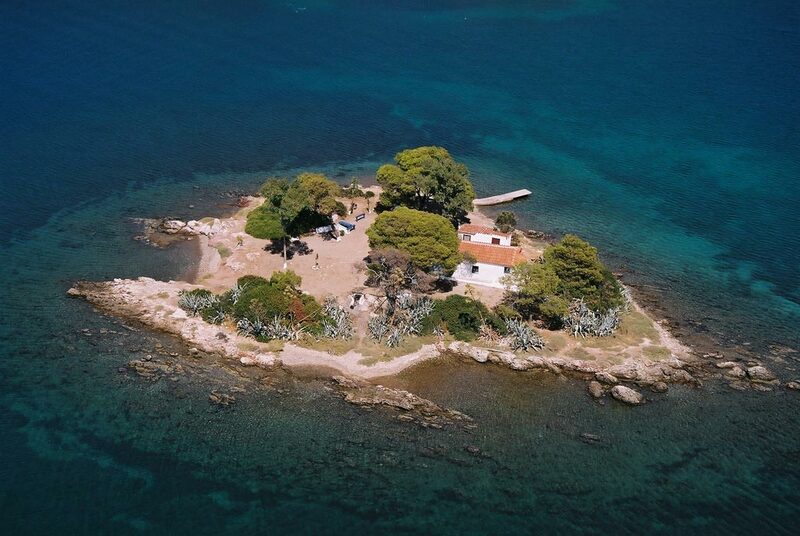 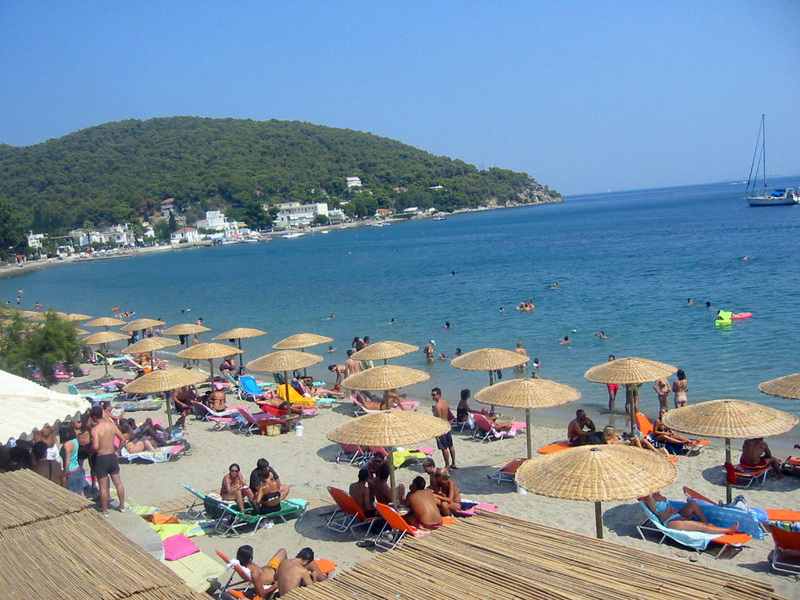 The island has 2 lovely beaches at Askeli and Neorio. 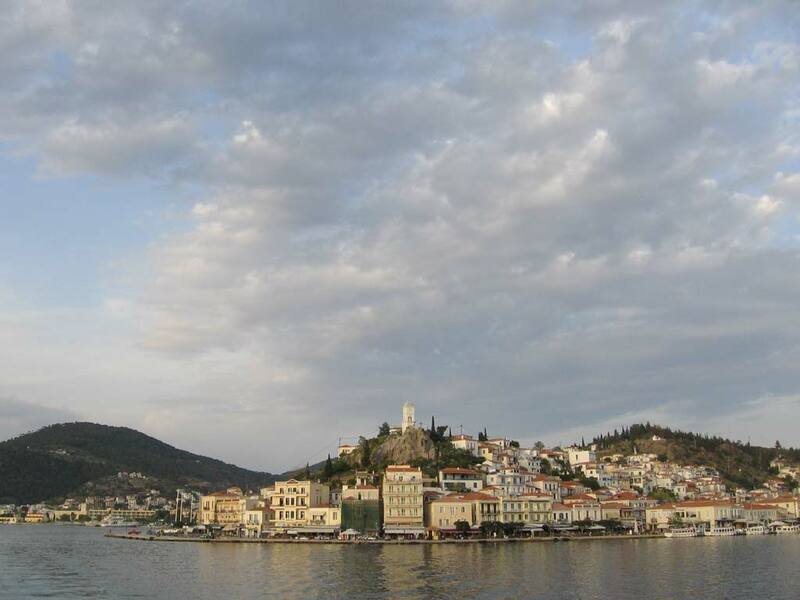 At Neorio, one of the best sunsets can be viewed where the visitor has the chance to see the «Kimomeni» or the «sleeping woman» which is the silhouette of the hills outlined by the setting sun, and is in the form of a woman lying down. 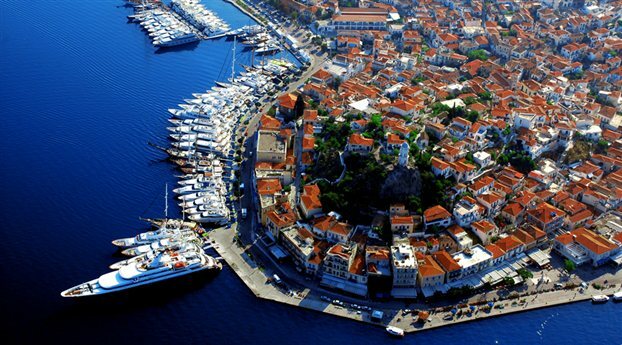 The famous orator Demosthenes sought refuge on Poros and it is here that he poisoned himself.